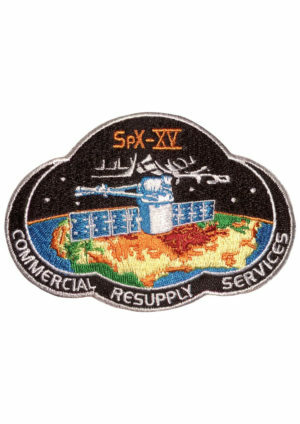 The embroidered mission patch for Apollo 15. 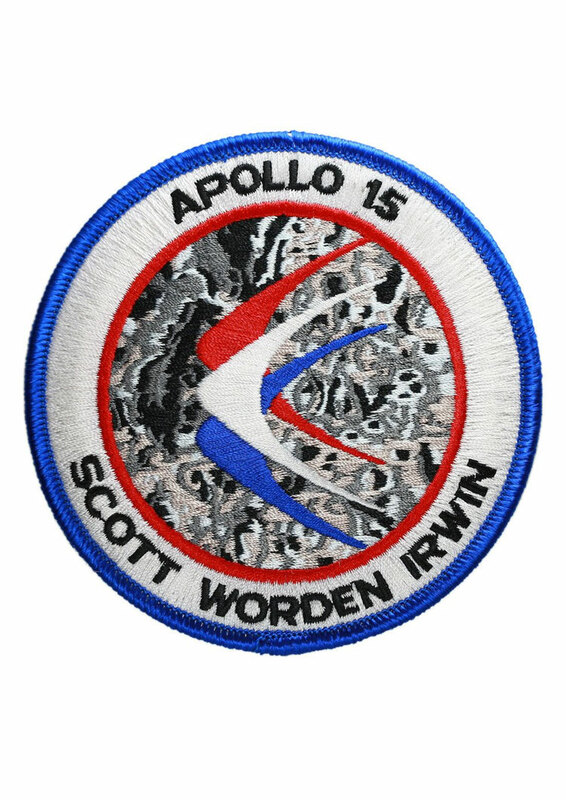 This is the insignia designed for the Apollo 15 lunar landing mission. The circular design features the colors red, white and blue. 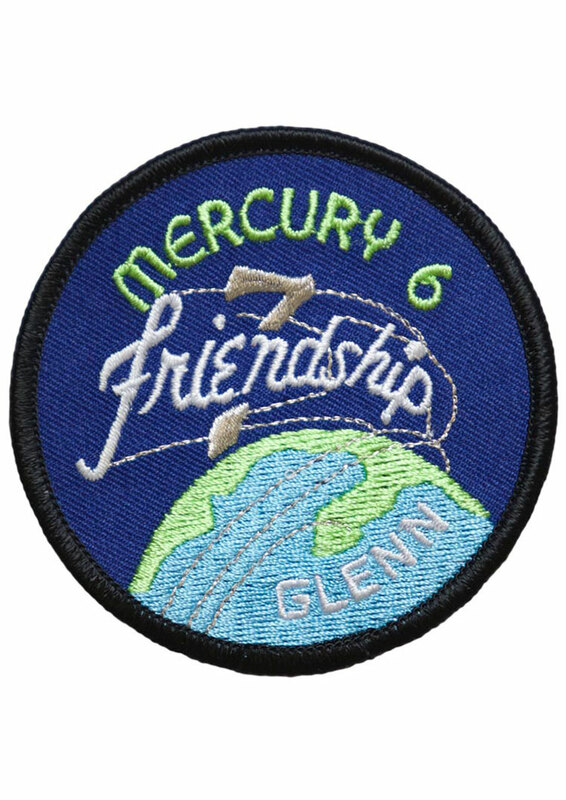 On the outer portion of the patch a narrow band of blue and a narrow band of red encircle a wider band of white. 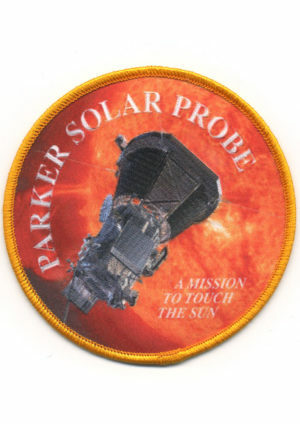 The large disc in the center of the emblem has red, white and blue symbols of flight, superimposed over an artist’s concept of the Apollo 15 Hadley-Apennine landing site of gray tone. The surnames of the three names are centered in the white band at the bottom of the insignia. The Apollo 15 prime crew men are David R. Scott, commander; Alfred M. Worden, command module pilot; and James B. Irwin, lunar module pilot.